I’ll admit that when I sat down to watch “The Blind Side” last week, I really didn’t expect much. I thought it would be a Lifetime movie of the week except on the big screen. But even though I walked in ready to dismiss the film, I’m forced to say “The Blind Side” was a lot better than I expected and I enjoyed the way it mixed a few different genres together. 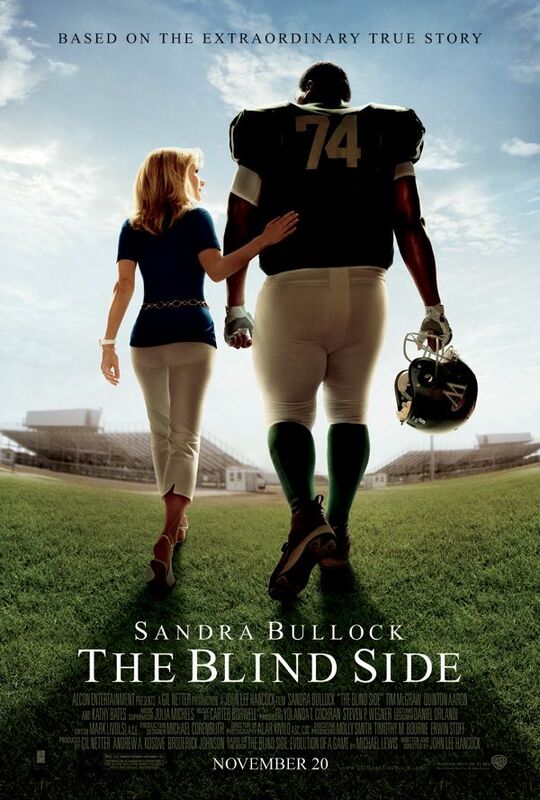 What you need to know is, “The Blind Side” is both a football movie and a family values film. It’s also a bit of a comedy. When films try and mix genres like this, you almost always end in disaster. So I have to give credit to director John Lee Hancock (“The Rookie”) for crafting a film that should appeal to both football fans and families. He even made me feel something for Sandra Bullock. Trust me, that’s not easy. Anyway, to help promote the film, we’ve been provided with seven clips and you can watch them after the jump. For those unfamiliar with the book it’s based on, the film is based on the true story of Michael Oher, a homeless African-American youngster from a broken home who is taken in by the Touhys (Sandra Bullock and Tim McGraw), a well-to-do white family who help him fulfill his potential. At the same time, Oher’s presence in the Touhys’ lives leads them to some insightful self-discoveries of their own. Living in his new environment, the teen faces a completely different set of challenges to overcome. As a football player and student, Oher works hard and, with the help of his coaches and adopted family, becomes an All-American offensive left tackle.